A huge political row has been triggered after a Kerala minister made alleged remarks accusing an IAS officer of plotting with the RSS to pull down a cross on an encroached piece of land in Munnar and questioning the character of some women activists. 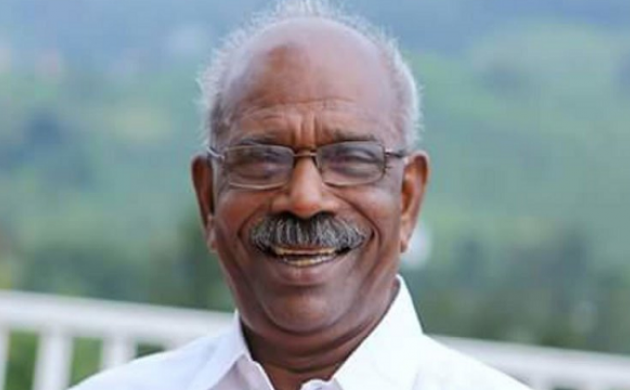 70-year-old Power Minister M M Mani, a senior CPI-M leader from Idukki, made the comments against the women activists of a plantation workers’ outfit in hilly Idukki district, allegedly questioning their character at a public function on Sunday. Known for making controversial comments, Mani’s remarks have triggered strong condemnation from political leaders cutting across party lines and demand for his apology and resignation. The BJP-led NDA has called for a dawn-to-dusk ‘hartal’ in the district, demanding Mani’s resignation. Facing all-round flak, Mani expressed regret later and claimed his remarks were wrongly interpreted by the media and only the edited version of his speech was shown. “I regret that my words have been misunderstood. The stir of Pembila Orumai (the outfit) had caught the attention of all. I did not mean to insult women in my speech,” he told reporters. Mani had last night accused Devikulam Sub-Collector Sriram Venkataraman of conspiring with RSS for pulling down a giant cross erected on an an “encroached” piece of land in Munnar, saying the act was akin to the Babri Masjid demolition. Expressing his unhappiness over the anti-encroachment drive launched in the ecologically sensitive area, he also said the official should be sent to a mental asylum. “The cross at Pappathichola was brought down as part of an RSS conspiracy and the act was similar to the Babri Masjid demolition,” he charged referring to the removal of the 30-foot tall Cross put up allegedly on an encroached piece of government land in Munnar on April 20. Mani’s remarks drew sharp condemnation from the ruling coalition partner CPI and the opposition Congress and BJP. Leader of Opposition Ramesh Chennithala said it was upto the chief minister to decide if Mani should continue in his Cabinet. Criticising Mani, BJP state president Kummanam Rajasekharan said the efforts are on to isolate those who stand for the truth and justice. Even as his earlier remarks were yet to die down, Mani made fresh remarks on Sunday against the women activists of “Pembila Orumai,” which had successfully staged a protest for wage hike for plantation workers in 2015. Hurt by his remarks allegedly questioning their character, some activists of the outfit squatted on a road in Munnar demanding apology from the minister. The police bid to arrest them triggered a mild tension briefly in the hill town. The one-and-half month-long agitation by thousands of women plantation workers two years ago under the outfit’s banner, keeping the political parties and trade unions at bay, had grabbed headlines. Law Minister A K Balan, CPI(M) MP, P K Sreemathi, party’s former Rajya Sabha member T N Seema, Congress leader Bindhu Krishna, writer Sara Joseph, were among those who came out against Mani’s remarks. Ramesh Chennithala wrote an open letter to the chief minister demanding Mani’s ouster from the cabinet. A case should be registered against him for the remarks against women, he said. Kummanam Rajasekharan also asked the government to register a case against Mani. The BJP also would take out a protest march in all district headquarters.